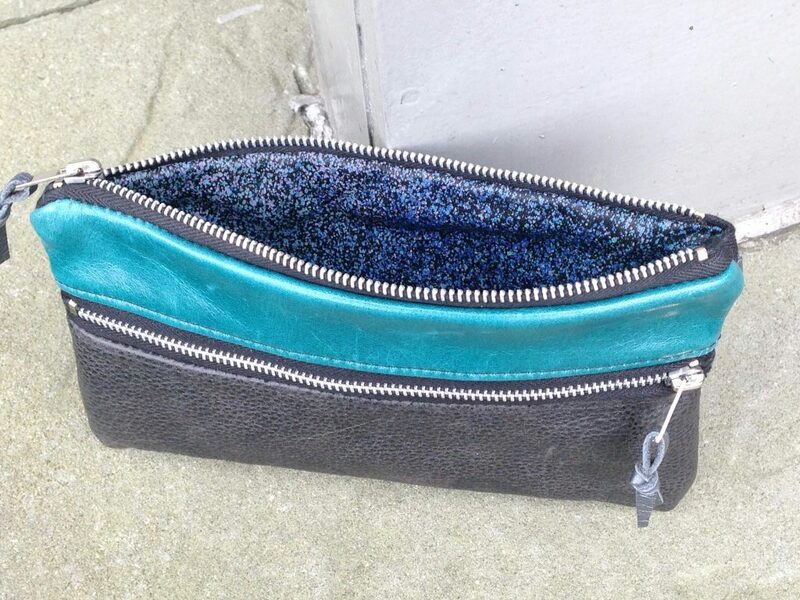 I’ve been making these little double-zipper pouches for the last month or so, every time I have a chance. 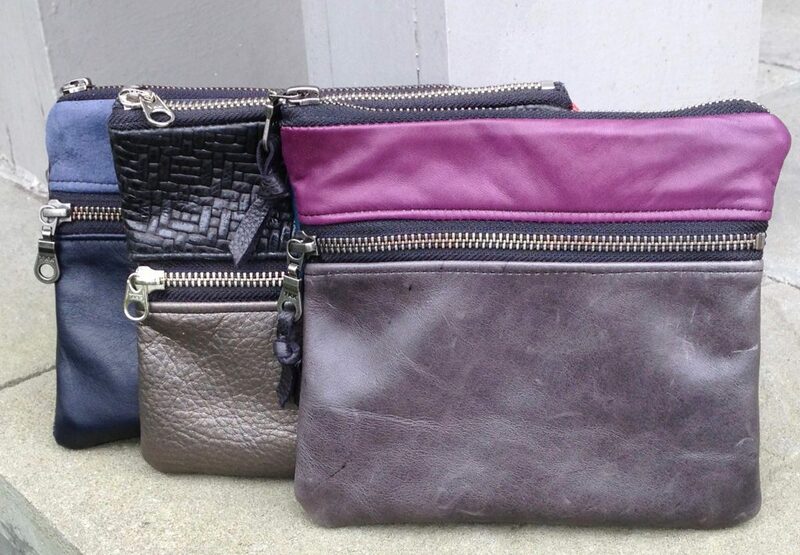 I love combining the different pieces of leather. 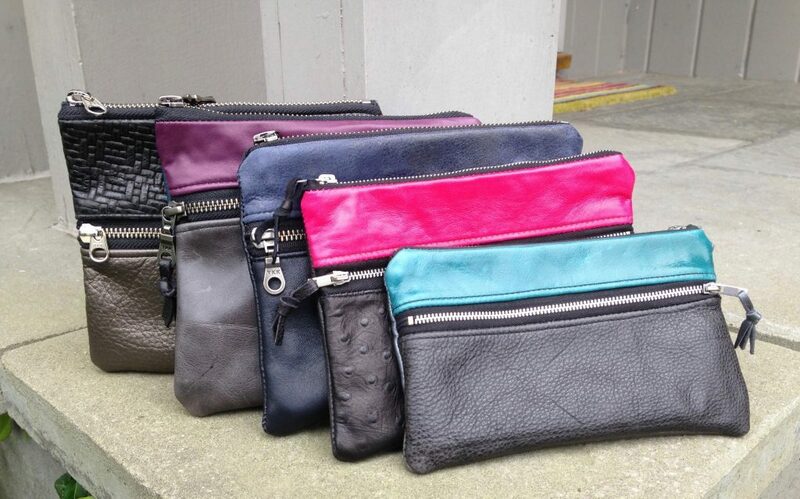 Each pouch is lined with water-resistant fabric and has a separate zippered front compartment. I think they would be great for travel for phone, passport and cards. I love the bright flash of colour on them. Pictured below is one example so you can see the interior and the reverse side. There are a few more! 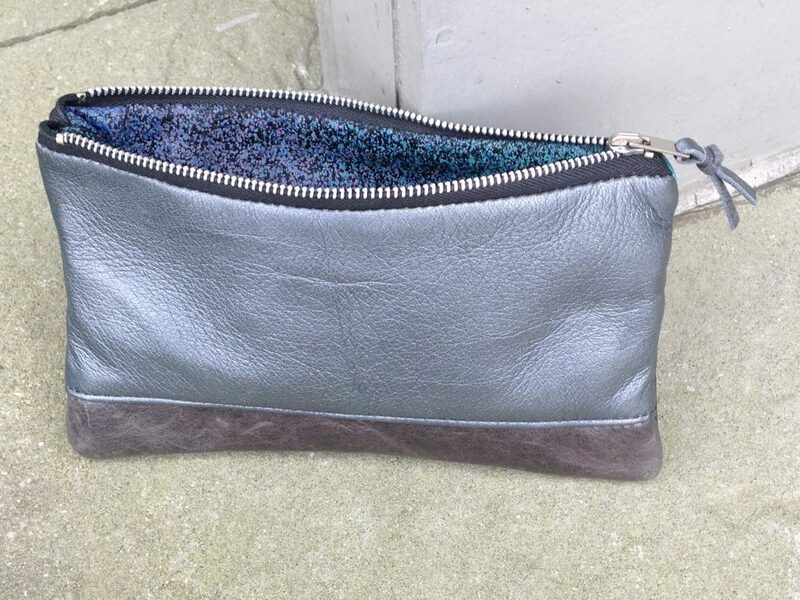 It’s a great way to use the small pieces of leather I’ve liked best. And they will all be in the on-line shop at the weekend. Write using the contact info on the left if you are interested. 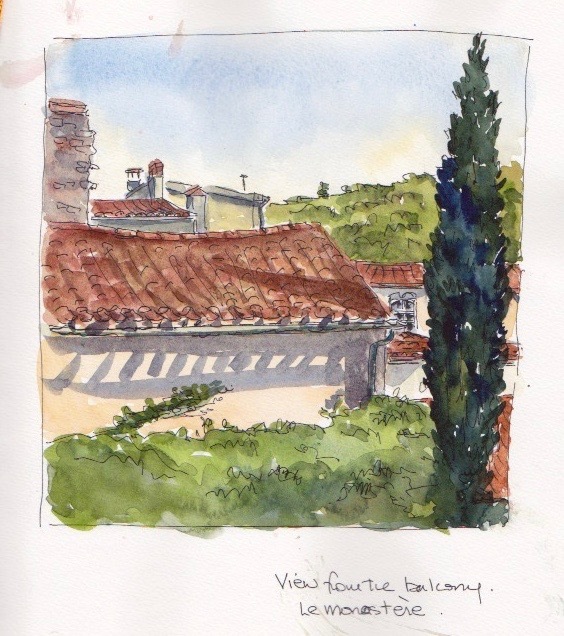 Here are a few sketches from my final days in Limoux in June. 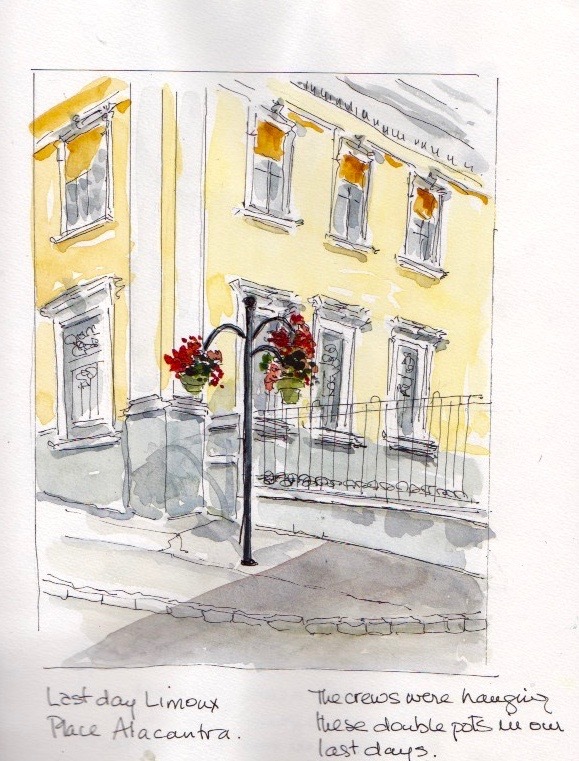 These sketches were unfinished, so I’ve been finishing them up and reliving the quality of the light in this lovely town. 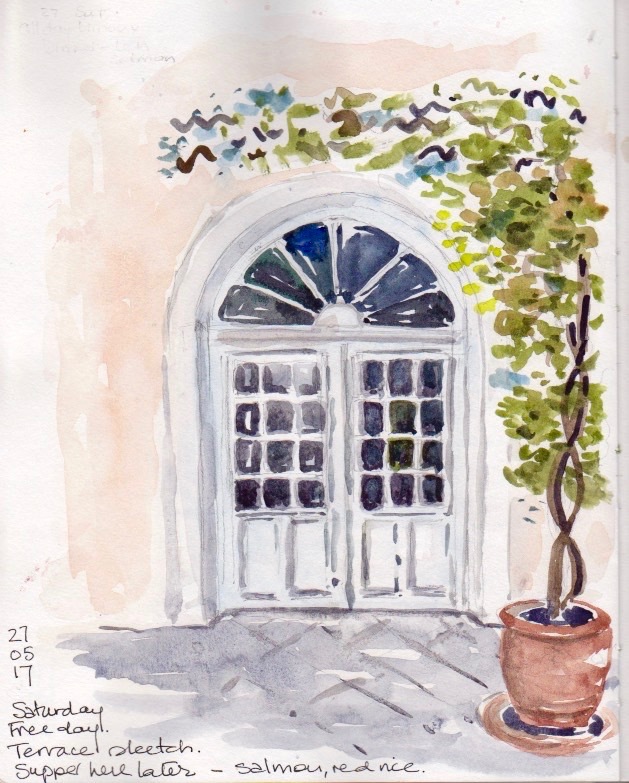 One of my favourite spots was the terrace of Le Monastère where we stayed. The first is taken from the balcony and the second in the courtyard. The last is a square just a block away. My sketchbook by the end of a trip starts to be pretty grubby as you can see. We were at the cottage for Canada Day weekend and the following week. (The reason for no posts.) This first weekend of the summer is always a weekend of family. Our younger son has always celebrated his birthday at the cottage–and now there are three of the next generation who have joined the tradition. 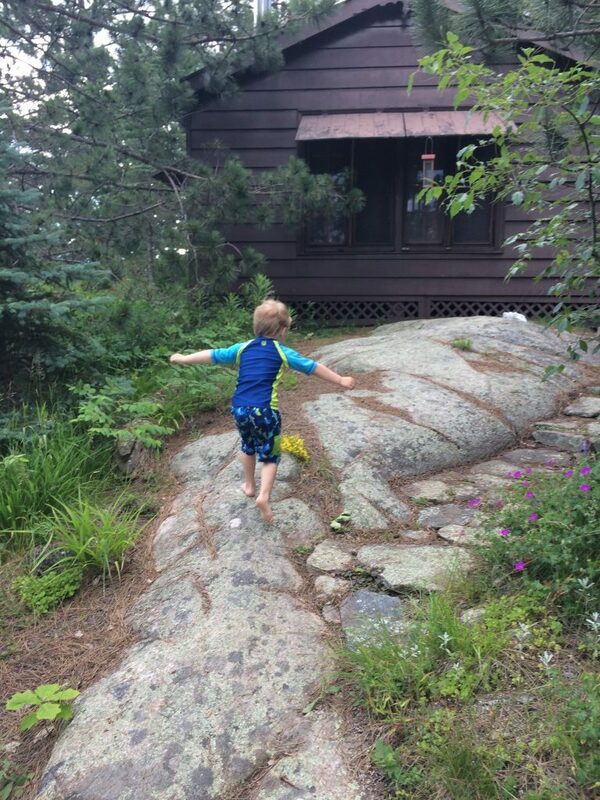 Somehow the cottage affords opportunities for close encounters that don’t seem to materialize in the city. 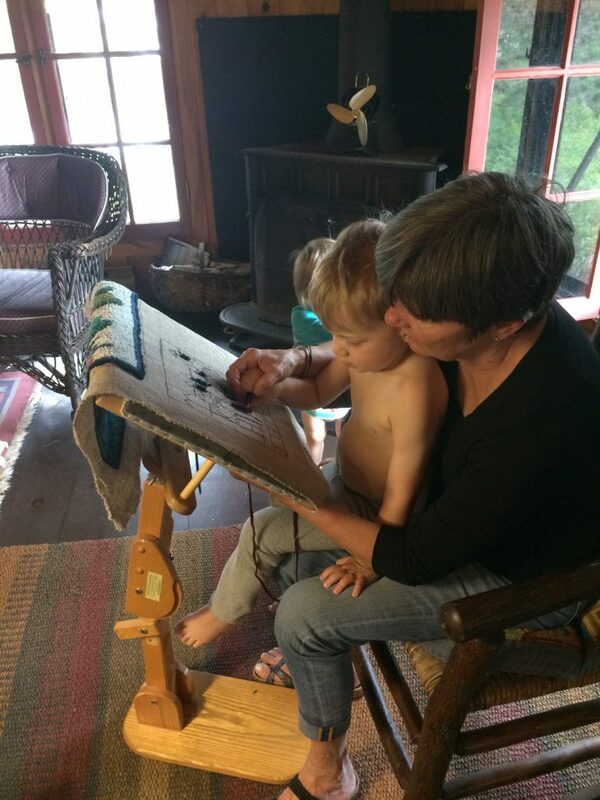 I don’t unusually include photos of family on the blog, but I couldn’t resist posting this picture of a grandson having his first hooking lesson. I didn’t know we were being photographed but was delighted when my daughter-in-law sent this along. And below–the sheer joy at the freedom of life on the island.